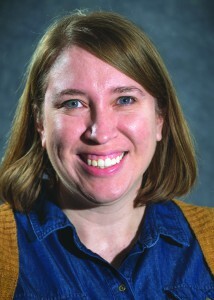 Laura Schwinn, audio/video communications teacher at Emporia High School. Each year, thanks to the generosity of Bank of America, the recipients receive a $1000 professional development stipend as part of the award. The recipients were selected by a committee including representatives from Kansas Association of Elementary School Principals, Kansas Association of School Boards, Kansas Association of Secondary School Principals, Kansas Parent Teacher Association, Kansas National Education Association, Kansas National Education Association–Student Program, Kansas State Board of Education, and the 2016 Kansas Master Teacher class. The 2017 Master Teachers will be honored on Master Teacher Day to be held April 5 at Emporia State University. On that day, the teachers will present a seminar at 2:30 p.m. in the W.S. and E.C. Jones Conference Center in Visser Hall. The teachers will then be honored during a social hour at 5:45 p.m. in Webb Hall Lobby of Emporia State’s Memorial Union followed by the dinner and awards ceremony at 6:30 p.m. in Webb Hall. Tickets for the dinner cost $17, and reservations are required by Wednesday, March 29. For more information, see www.emporia.edu/teach/master/reservationform.html. Emporia State established the Kansas Master Teacher awards in 1954. The awards are presented annually to teachers who have served the profession long and well and who also typify the outstanding qualities of earnest and conscientious teachers. Since 1980, Bank of America has pledged more than $100,000 to permanently endow the Kansas Master Teacher awards. In 1984, the Black family of Broken Bow, Oklahoma, established an endowed chair for Kansas Master Teachers. The fund provides a stipend to bring two Master Teachers to Emporia State for part of a semester. During this time, the teachers present to classes of education students. This year’s visiting Master Teachers were Nikki Chamberlain, a chemistry teacher at Salina South High School, and Adriane Falco, an elementary music educator at Stanley Elementary School in the Blue Valley district.